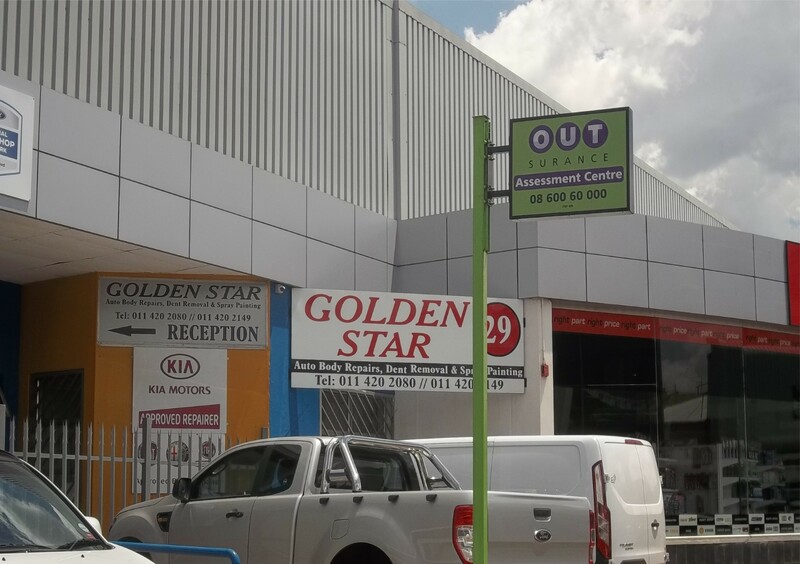 The Company is registered in the name of De Ascencao & Rosa Enterprises CC trading as Golden Star Auto Body Repairs. 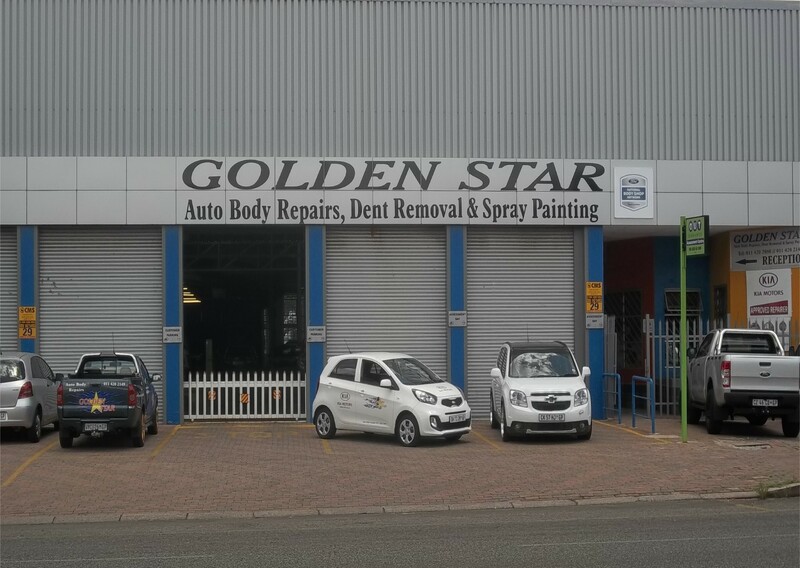 Established in 2006, Golden Star Auto Body Repairs has become a successful operating company in Benoni and comprises of two members namely: Mr. Joao De Ascencao & Mr. Jose Rosa We are also fully approved by Sambra as a major structure repairer. Our Sambra membership number is: 1003638. 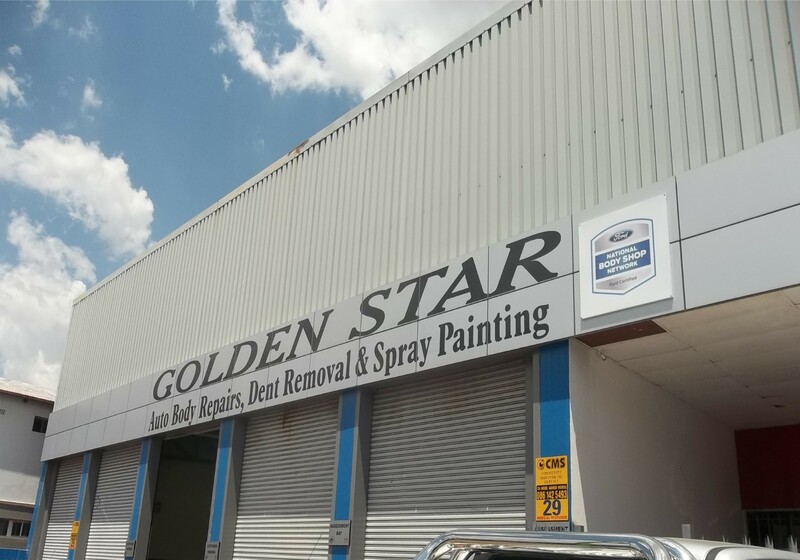 At Golden Star Auto Body Repairs we specialize in panel beating, and spray painting as well as all mechanical work done to all makes of vehicles. Our workshop has all the newest and technically advanced equipment, to ensure that our clients on get the best standard of work. 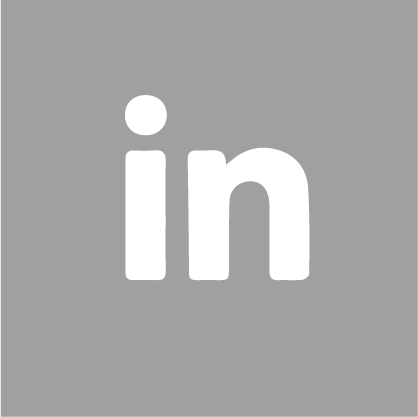 Our mission is to play a leading role in the automotive industry, in order to achieve this we will ensure that our clients receive a prompt quality service and that their vehicles are repaired to manufacturer specifications. Our vision is to develop a reputable, honest and trustworthy business with all our clients, insurance companies as well as our suppliers. 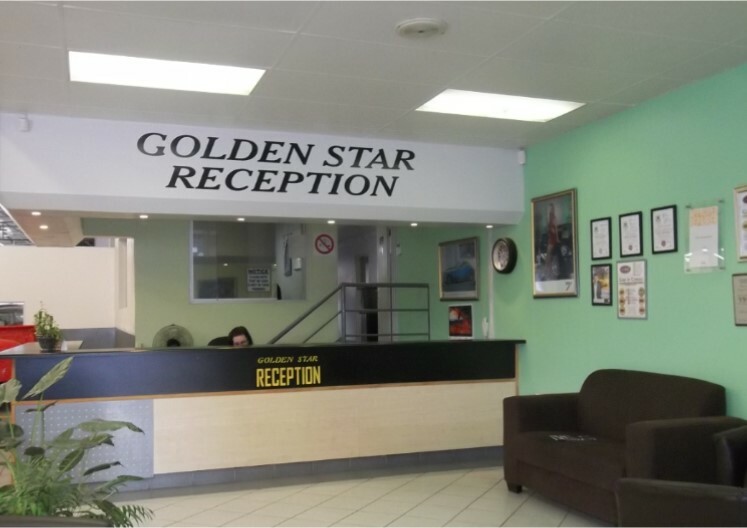 At Golden Star Auto Body Repairs we take great pride in a well presented reception area for our clients with a pleasant waiting room where you will feel at home and can relax. 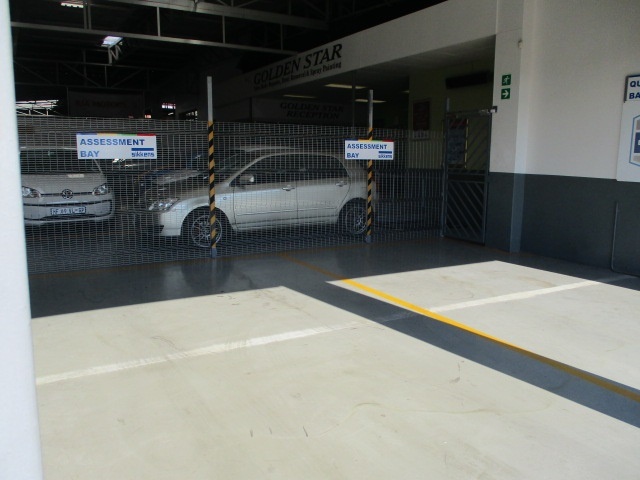 We also have a very convenient parking area where our clients can park their cars. Our parking area is extremely safe with no threat on any sort to it. 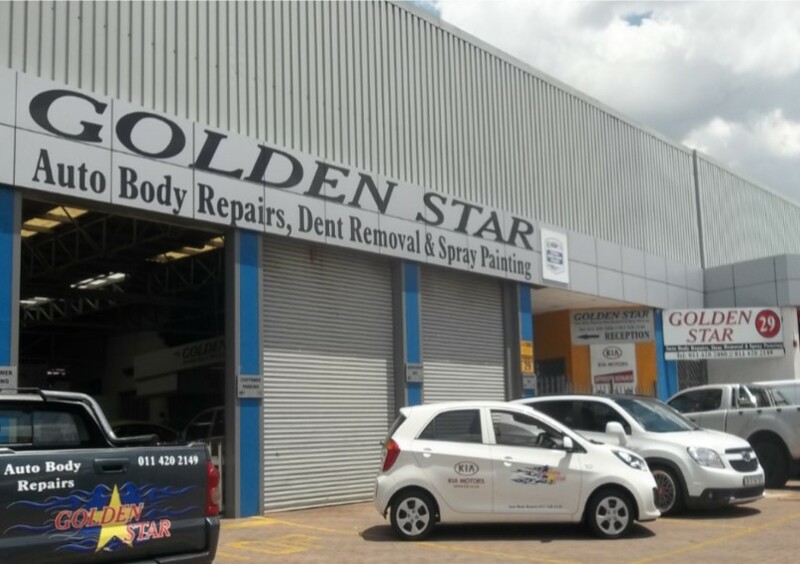 Our premises is also under the watchful eye of 24 hours security constantly patrolling the area which means you can rest assured that your vehicle is in the best and safest hands at Golden Star Auto Body Repairs. 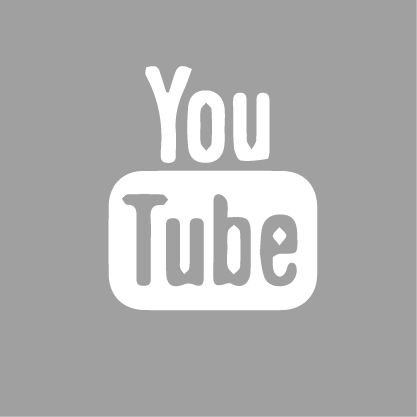 CCTV is also installed at our premises, so all actions occurring is recorded for security and safety purposes. 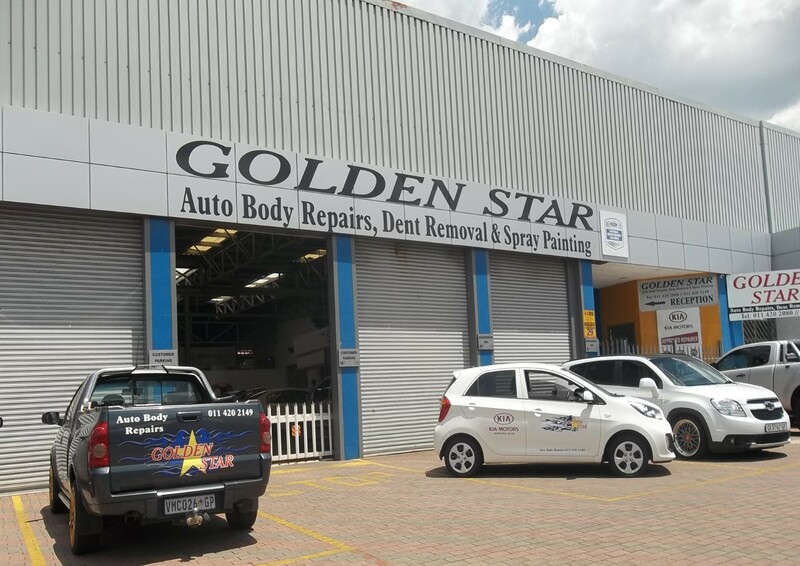 We have an alarm system also installed in our workshop, which is connected to armed response, so you can definitely be sure that your auto mobile is in the safest hands when it is in the hands of Golden Star Auto Body Repairs. 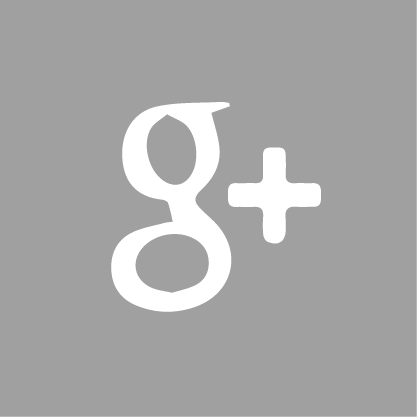 Golden Star Auto Body Repairs is insured should the event of a fire damaging a client's car happen. 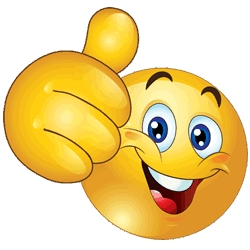 We are also insured against motor traders (Internal- or External Risk). 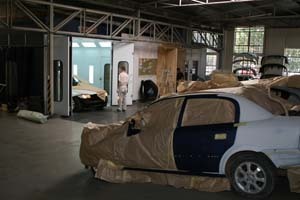 We have teams that will fulfil all your auto body repair needs. 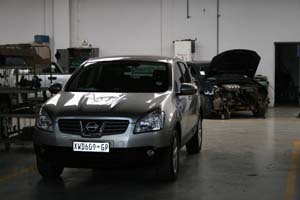 Our Preparation Staff will see to it that your vehicle is prepared for the repairs that need to be done to it. 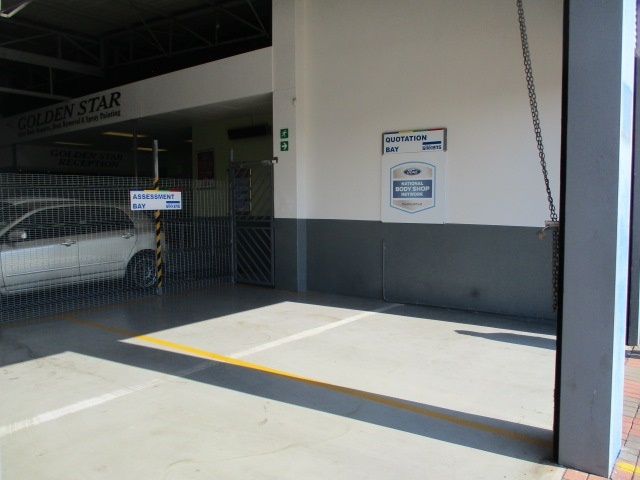 Our Panel Beating Section consists of a Spanesi Jig System and a Korek Straighting System that is able to correct any dents or damages that your car may have. In charge of this section of the shop, we have two Qualified Grade "A" Panel Beaters. 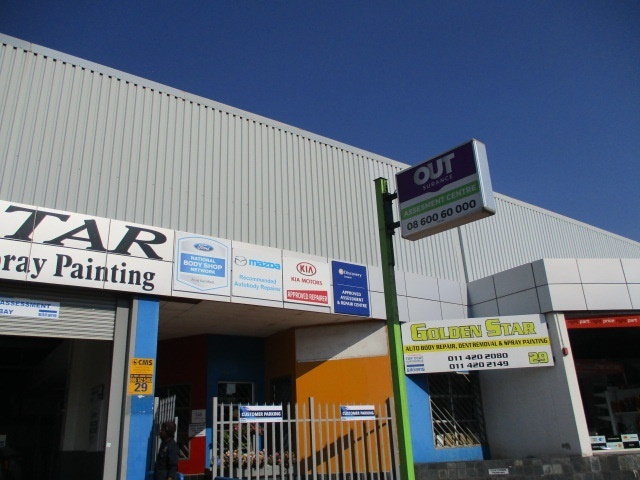 The Paint Shop Section has an Aero Cure Spray Booth where our team of highly qualified spray painter will give your auto mobile the best paint job, with detail to perfection. 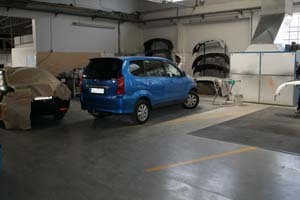 There in a paint room where special detail will be added to your car's paint job. 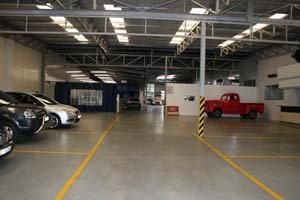 Also, there are Double Prep Bays where the finishing touches to your car's paint job will be done to make your paint job immaculate and perfect. 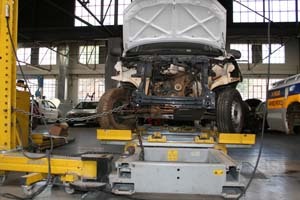 Two Qualified Motor Mechanics are in charge of the 2 Post Hoist Lifts that can carry 4,5 tons of weight to give the specialist working on your car the best view to see exactly what is needed and how we can make your car like new again. We have Trisk Infrared Lights to create extra heat for your car's paint job to dry quicker so that our work can be as quick and efficient as possible so that you can receive your car back in a short a time as possible. Our Boiler Makers make use of Air-Cooled Spot Welders to produce the most perfect and seamless work to your car the best result in your car and also keeping the cost to a minimum. We also focus your headlights with our accurate Headlight Focus Machine to give you the best view at night without disturbing the sight of oncoming drivers. Also we have a 12 Tons Press to be able to remove any difficult object such as removing a wheel bearing out of a spindle. 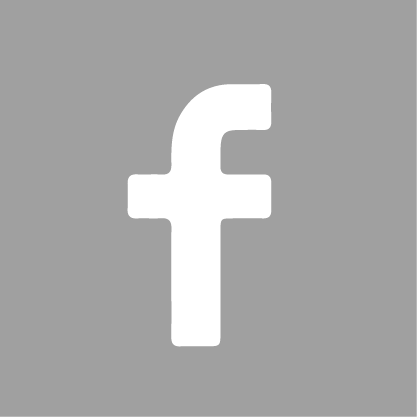 The Assemblers ensure that all parts are assembled correctly and fitted to your car to perfection that it looks just like new. 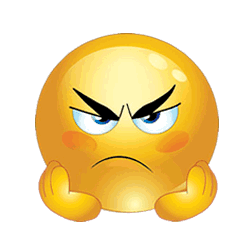 Our Cleaning Team will sure that your vehicle is absolutely spotless and as clean as the day you bought it. Lastly we will give your car a good polishing job so that it sparkles when you see it. 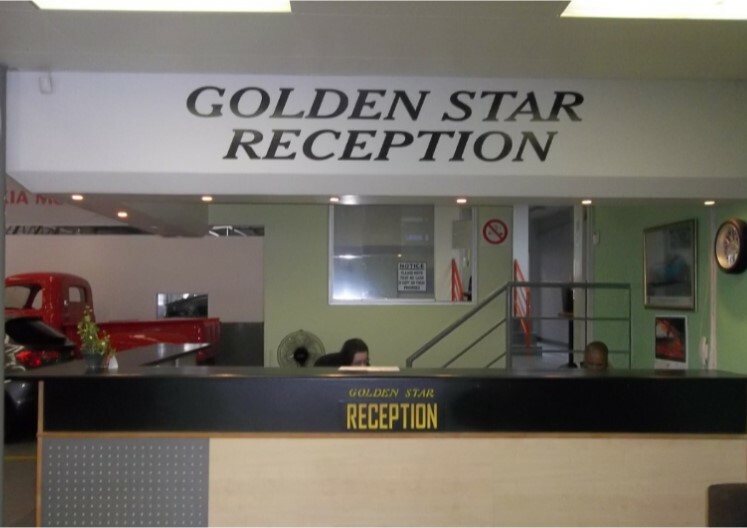 To us at Golden Star Auto Body Repairs, quality of workmanship and client satisfaction is of utmost importance. 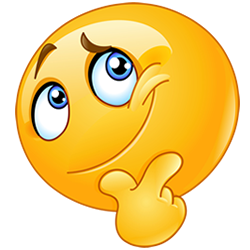 We there challenge ourselves in giving the best possible service to our clients and always looking at where there is room for improvement. 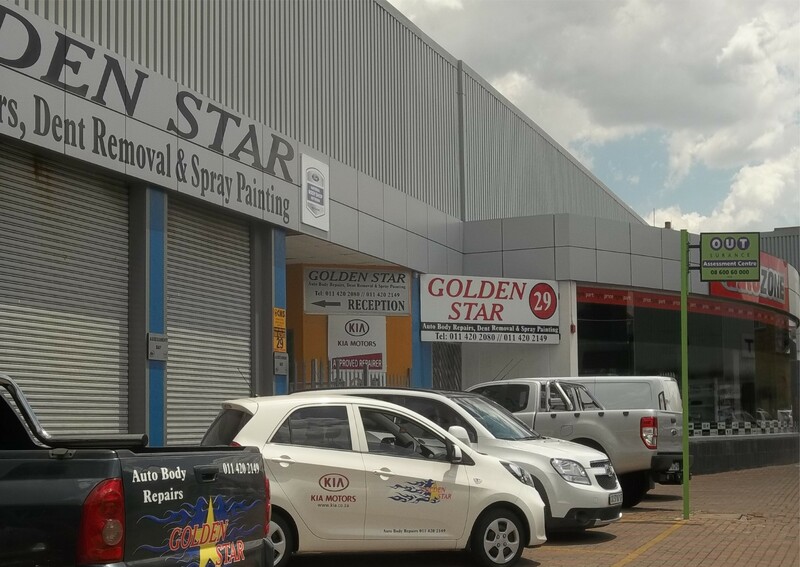 We are able to offer our clients a 3 year guarantee on work done by our staff at Golden Star Auto Body Repairs, and a lifetime guarantee on all paint work offered by the paint manufacturer.